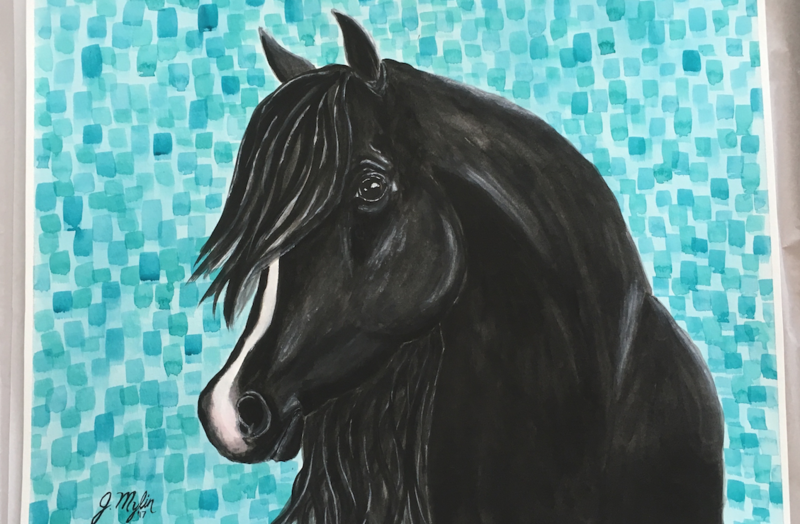 When my friend commissioned me to paint a picture of her daughter’s dream horse (a black Arabian), I was so excited. 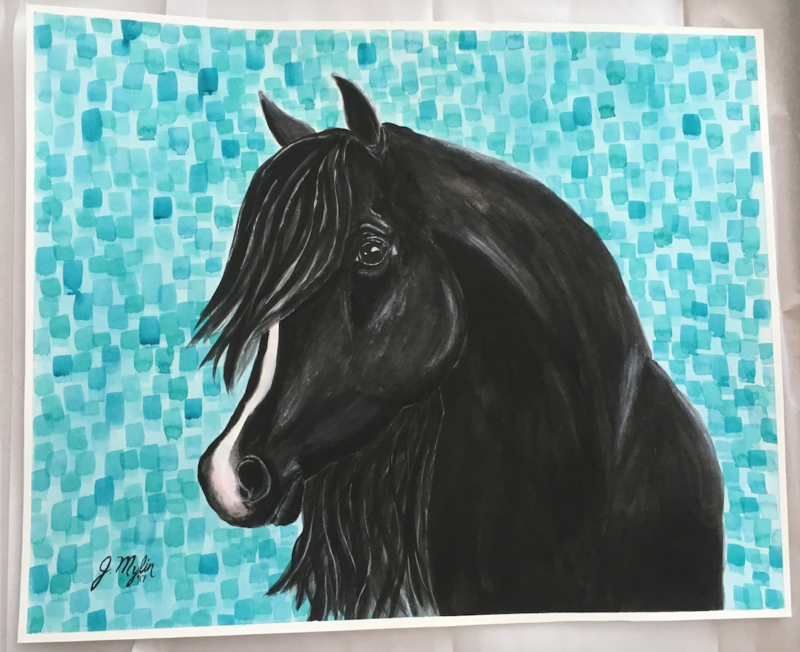 I’ve always loved horses and to paint one for a fellow horse-lover was a treat. Also, she gave me free-rein (pun intended) for the background. I loved the end-result.